Thorner: Smart Meter Dangers, Who Knew and Did Not Sound the Alarm? Commonwealth Edison (ComEd) is pushing for the deployment of 4,000,000 smart meters despite the fact that government agencies and the military have known for decades that Radio Frequency/microwaves can cause serious health effects. This information is not new; it is just being brought to the forefront as a health crisis is emerging in Illinois. 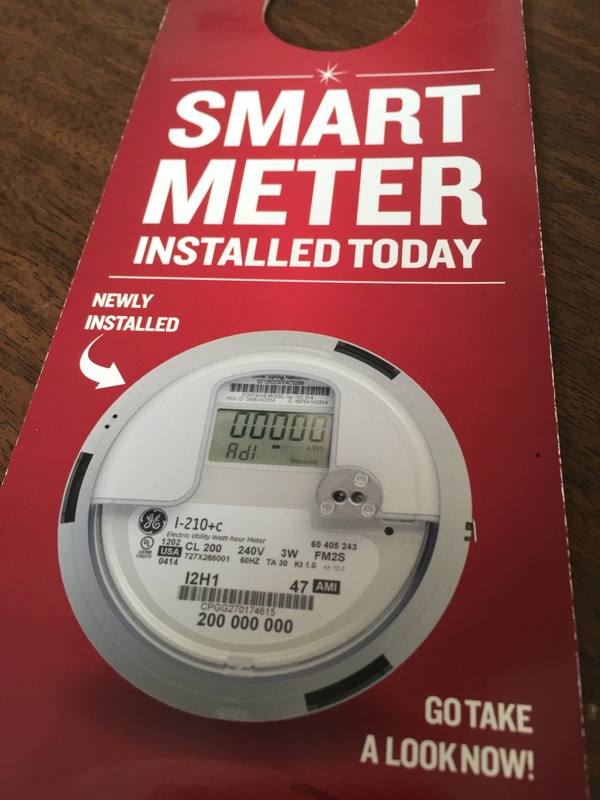 ComEd is using the Energy Infrastructure Modernization Act, also known as the “smart grid modernization bill” (written by ComEd lobbyists), and the Illinois Commerce Commission’s interpretation of that bill, as justification for installing millions of wireless smart meters. The RF/microwave emissions from smart meters are listed by the World Health Organization’s International Agency for Research on Cancer ‘IARC’ as a Class 2B Carcinogen. That makes this the first time in history a known carcinogen has been mandated on ALL homes, schools, and government buildings. ComEd smart meters contain two transmitters emitting high-intensity pulsed signals every few seconds in two frequencies within the “most harmful” range mentioned by Flynn. One frequency is 900 MHz used for the wireless network that relays data from the smart meter on one house to the smart meter on another house and then on to a collector which sends the data to ComEd. The second frequency, 2.45 GHz, is used for appliances inside the house to transmit data to the smart meter. Although ComEd claims that data is only transmitted six times a day, what they neglect to mention is that smart meters also emit high-intensity RF/microwave pulses each time they perform network management functions. According to California court documents, a single smart meter can emit these pulses on average 10,000 to 190,000 a day. The number of pulses depends on where in the mesh network the smart meter is located and how often it is relaying data from other neighbors’ meters. It is these around-the-clock, high-intensity pulses within the frequency range “most harmful” to humans that make smart meters so damaging. Consider 4,000,000 ComEd smart meters blanketing Illinois with billions of pulses in these frequencies being emitted every day, forever. Basis for FCC guidelines: Health or Profits? The current FCC safety limits are based on thermal exposure alone. The FCC guidelines are ten times more lenient than what the Environmental Protection Agency (EPA) would have permitted to protect the general population from the health hazards of RF/microwave radiation. In the late 1980’s, the EPA radiation division, staffed with practicing biologists and epidemiologists, decided on a safe limit for human exposure. Before the announcement was made, industry intervened, federal funding for that division of the EPA was cut, and the FCC was given the task of setting the RF/microwave guidelines for the public. The FCC, made up of bureaucrats and engineers, had no experience or training in setting “health related” guidelines. Therefore, from the beginning, FCC guidelines were set at a limit that was too lenient to protect the general population. Environmental Protection Agency (EPA), 1993: “FCC exposure standards are seriously flawed.” In fact, 40 EPA scientists released a 393 page report titled, An Evaluation of the Potential resolution proposing classifying RF/EMF fields a “probable carcinogen”. The White House silenced the classification stating it would, “scare the American public”. Today there are more than 900 health and environmentally conscious groups sending comments to the FCC as part of the agency’s reassessment of the guidelines. The American Academy of Pediatrics, with headquarters in Illinois, is one of these concerned medical organizations. The Academy of Environmental Medicine, along with the American Academy of Justice (formerly the Association of Trial Lawyers of America), are two more such groups. All of these organizations are concerned with saving the environment and preserving public health from the government approved harmful levels of microwave radiation. ComEd touts compliance with FCC standards to assure the public that smart meters are safe. However, FCC exposure guidelines are irrelevant since the limit set is for thermal exposure. ComEd smart meters subject the public to chronic non-thermal exposure. Which authorities knew or should have known of RF/microwave harm? The U.S. military and intelligence agencies: As early as the 1950’s, the military and intelligence agencies were aware of the health effects from RF/microwaves. From 1,000 classified studies, it was apparent that even low-level RF/microwaves could create bio-effects that could be used to disrupt the enemy in covert, or battlefield operations. RF/microwaves could be utilized to create confusion, slow reaction time, create nausea, and shock adversaries in the field. NASA: This space agency has been studying the health effects for years to facilitate protection from electromagnetic radiation for astronauts traveling in space. Government Health Departments: These departments are charged with protecting public health and have a responsibility to keep up on studies. At this time, there are thousands of peer-reviewed studies showing adverse biological and health effects. The Department of Energy: It is the duty of this agency to investigate negative health effects before launching such an expansive national project. No health data was considered before deployment of billions of smart meters in wireless networks. The World Health Organization: In 2011 the International Agency for Research on Cancer ‘IARC’ categorized Radio Frequency emissions from all wireless devices as a Class 2B Carcinogen. ComEd’s wireless smart meters fall into this category. Although the IARC classification has been known for five years, the deployment of 4,000,000 ComEd smart meters is still being mandated. The Telecom executives: Two decades ago Dr. George Carlo, who was in charge of the Wireless Technology Research (WTR) project in 1993 informed the Telecom executives. He reported the results of the research which revealed an alarming increase in tumors and many other health related problems. Lloyd’s of London: This well-known insurance underwriter now specifically “excludes liability coverage for claims directly or indirectly resulting from electromagnetic radiation and illnesses caused by continuous, long-term, (non-thermal) radiation exposure.” ComEd’s wireless smart meters will inflict continuous, long-term, (non-thermal) radiation exposure on all life forms. Utilities, such as ComEd: Utilities have been charged with providing safe delivery of electricity. Clearly, there has been no investigation into the safety of incorporating into the electric grid a product utilizing this dangerous technology. Address the emerging public health crisis related to wireless devices, wireless utility meters [smart meters] and wireless infrastructure. Urge that UN Environmental Program initiate an assessment of current exposure standards [in order] to substantially lower human exposures to non-thermal radiation. Take a planetary view of potential for harm that EMF pollution presents to biology—the evolution, health, well-being and very survival of all living organisms worldwide. Illinois politicians and members of the General Assembly: What do they know? Members of the General Assembly, who voted to pass the smart grid modernization bill, (after “ComEd’s lobbyists were able to muscle the bill through”, according to the Illinois Attorney General), and/or voted to override Governor Quinn’s veto, might want to take another look at the health threat being inflicted on ComEd customers. Why would any political leader knowingly permit their constituents to be forced to live with a meter on their homes that emits a known Class 2B Carcinogen? With a mandate in place and no permanent opt-out option available, residents are powerless to protect their families. In order for justice to prevail, consumer choice has to be restored, and a permanent opt-out option granted to ComEd customers. They knew, they did not tell us, where do we go from here? Any thing called smart is usually not smart, these meters are dangerous.